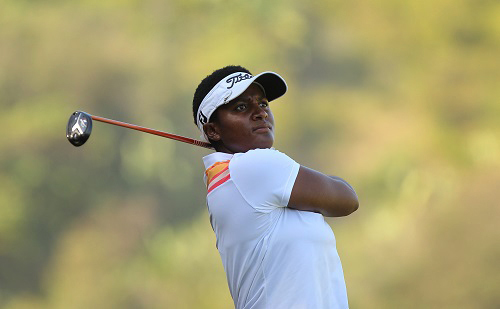 Nobuhle Dlamini laid down the gauntlet with a scorching six-under 64 at the Wild Coast Sun Country Club to open up a three-shot lead in the first round of the R400 000 SuperSport Ladies Challenge, presented by Sun International, on Wednesday. 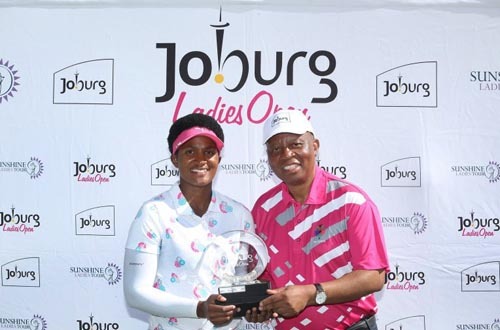 The big-hitting Swazi golfer had to recover from a triple-bogey six on the par three-sixth, but she did this in scintillating style, firing nine birdies on a hot and windy day on the KwaZulu-Natal south coast. South African Lora Assad slipped into solo second place on three-under 67, while five players share third on two-under including South Africa’s Kim Williams. Sweden’s Jessica Karlsson, Norwegian Stina Resen, and English duo Rachael Goodall and Kiran Matharu. Still searching for her a Sunshine Ladies Tour breakthrough, the 26-year-old Dlamini has battled slow starts to tournaments this season. Her best opening day came last week at the SA Women’s Masters where she shot 71, and her next lowest first round was a 75. Starting tournaments better is something that Dlamini has been working on, and that work has clearly begun to pay dividends. “I’ve basically adopted a more laid-back approach; a ‘don’t force it’ mentality,” said Dlamini after her round. Dlamini was two-under after four holes with birdies at two and four. After dropping to one-over on the signature par-three sixth she responded with a pair of birdies at seven and eight. With just her fourth par of the loop coming at the ninth, an unremarkable one-under 34 took her through the turn. Coming home, Dlamini was flawless with her first gain coming at 10, before three in a row from the par five 12th. Her ninth and final red number of the round came at the par five 16th as she opened up a gap on the field with a closing nine of five-under 30. “I’m quite chuffed with myself for shooting the score I did,” said Dlamini. “I’ve been hitting it well for quite some time now, but not being able to make the putts. Let’s just say, the putting assisted my score a lot. “It got tough on the back nine. There were a lot of changes in club choice, but I always missed in the right positions. I’m quite happy. I gave myself easy lines and I didn’t have many putts with big breaks in them. Her ball-striking was excellent, but her putting was outstanding. Assad, meanwhile, had an even better ball striking performance which helped her rise into contention. With the SuperSport Ladies Challenge being the penultimate event on the Sunshine Ladies Tour 2018 season, Assad wished the tour would continue its growth. 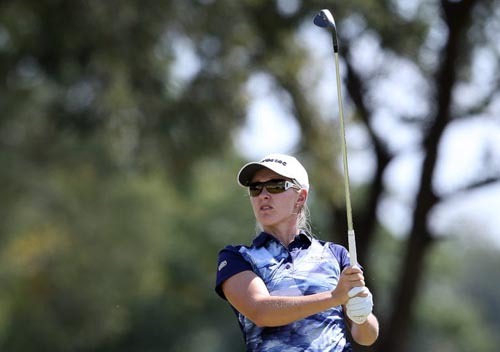 Dlamini – fourth on the Investec Property Fund Order of Merit – is hoping to make up ground on the points leader Stacy Bregman. The five-time Sunshine Ladies Tour winner Bregman is having her best season to date, but struggled with a first round three-over 73 for a tie for 24th. Bregman has 1635 points at the summit of the Order of Merit from four events, with Dlamini a ways behind with 822 points after five tournaments.